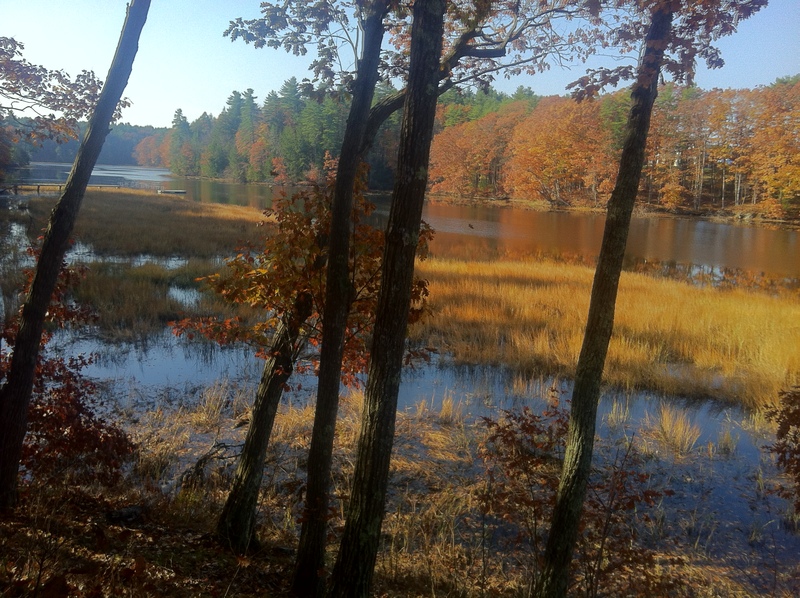 Behind our New Hampshire house, a lightly-wooded promontory overlooks a small, tidal river. After a week of city living, I sit on the slope and watch the tide rush in for over an hour at a time. It swamps the islets of marsh grasses and fills side channels. Ducks paddle where song birds fed a couple of hours before, under the hawk’s shadow. All their life cycles harmonize with the cycles of the bio-rich marsh. The continuous, slow surge of water, in and out of the river, evinces a grand waltz among the sun, earth, and moon. The tide here takes over 12 hours to complete one full rise and fall—a leisurely pace–and yet, the vast volume of water required to fill our marshy riverbed must move swiftly before a changing, celestial gravitational pull recalls it to the sea. As I watch the tide, other natural cycles ensure that it’s never the same show twice. In Spring, the ice breaks and thaws, exposing the bare clay banks in the riverbed, that then sprout grasses that grow to a tender green, translucent in the sunlight. In summer, while the grasses are lush, sunspots dapple the shade around my perch on the steep riverbank, flies buzz, and breezes rustle the leaves. Leaves drift down in autumn. The grasses that have spread along the river shallows all summer now turn yellow and pink, before colder, deeper water claims them. Flocks of migrating ducks and geese rest on the river, then take flight. Finally, snow blows across the landscape and the ice reforms. I perch on the riverbank in the spare hours of my own diurnal cycles of waking and sleeping, eating and working, and slow, continual aging. But here, the impermanent and the eternal show themselves as one ever-changing diorama. And, in my own impermanence, I take root here.